South Korean officials recently stumbled upon what is believed to be a North Korean drone that didn’t make it back home. And they now believe that the drone was sent to photograph America’s controversial THAAD missile defense system that was recently deployed to the region. The North Korean drone is similar to one found in 2014 and was discovered on a mountain in Inje, South Korea, near the border. 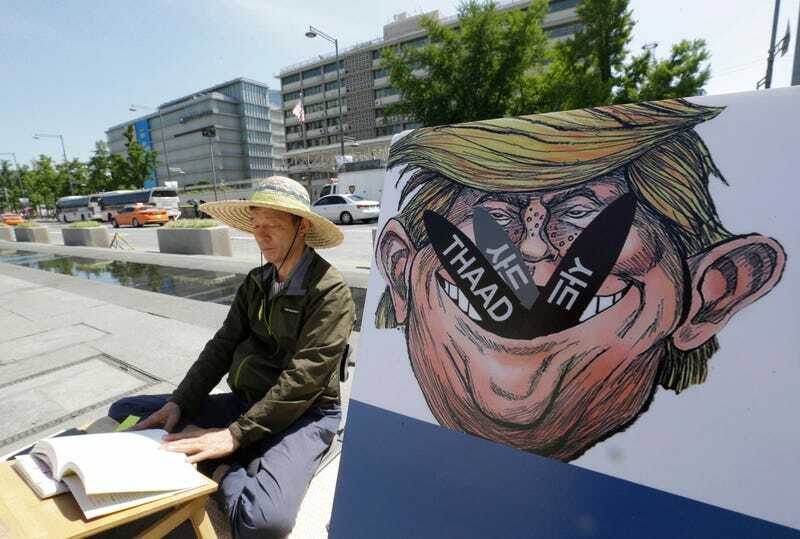 The drone is equipped with a Sony built-in camera and reportedly contained hundreds of pictures, including precisely ten photos of the Terminal High Altitude Area Defense system, also known as THAAD. The camera on board the drone is a Sony DSLT with 64 GB of memory, according to the news site NK News. The drone’s images mostly consisted of forests and trees, but the aircraft appears to have made its way at least 177 miles into South Korea without detection. South Korea and its allies are sensitive to any surveillance by the North Koreans in the region, as tensions continue to mount about the country’s missile and nuclear capabilities. US Secretary of Defense Jim Mattis testified yesterday in front of Congress that North Korea was the “most urgent threat” to the security of the United States. “North Korea’s continued pursuit of nuclear weapons and the means to deliver them has increased in pace and scope,” Mattis said yesterday. He went on to warn that a war on the peninsula would be catastrophic. 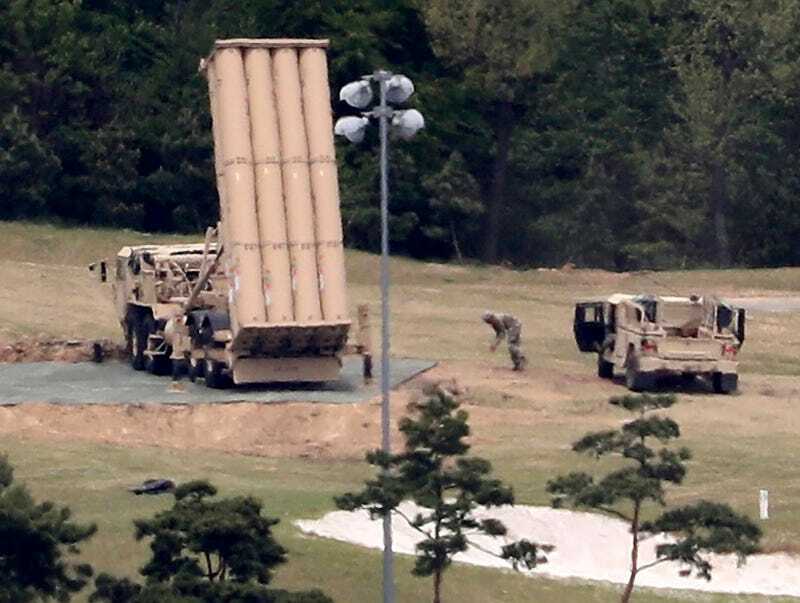 The THAAD system, controlled by the US, was deployed to the Korean peninsula back in March and is designed to shoot down any North Korean missiles that might pose a threat to South Korea, the United States, or other allies in the region. Both China and North Korea strongly object to the presence of the THAAD system in the region, and it has been a point of contention in South Korea, where many people believe it just inflames tensions with the North. The US military has a number of anti-drone technologies, including anti-drone cannons that disable unmanned systems while they’re in the air. This drone, however, is simply believed to have crashed on its own.